How did we ever find anything? Back in those ancient days, there were only two options for finding passenger list records: 1) view indexes and arrival records at the National Archives and Records Administration’s (NARA) branches or a LDS Family History Library, or 2) send in a search request – by mail – to NARA. Oh, and if you did visit a NARA branch in person to research, the only branches that had New York City arrival records – and therefore Ellis Island arrivals – were New York City (then located in Bayonne, NJ) or Pittsfield, MA. Wait a minute, I know when they came and what ship they came on – how hard can this be? Once again, I was not able to find their records. Finally I removed the name from the search field and looked at all the Polish women who arrived on the SS Adriatic on 15 October 1920. By this point, I was really curious as to how their names were entered into the database. Since I had the pertinent data, I eventually did find them…but would I have known it was them if I was searching for the very first time and wasn’t sure when they actually arrived? Now, as far as Polish surnames go, this one is not too difficult. Based on the principles of the Soundex system, only one of these listings would actually be found using a search for either Slesinska or Sleszinska, and that would be Ancestry’s entry for Maryanna Sleszynska. For Soundex to work, you at least need right-sounding consonants in the right places! Of course, even to find that one entry you would have to either wade through all of the entries or search for the first name “Maryanna” in lieu of “Marianna”. Even Steve Morse’s site wouldn’t find these ladies if I didn’t already know where to look! Entry on the passenger list for Maryanna Sleszynska - although some white-out would have been helpful. Passenger list entry for "Janma" and "Zo ia" - well, at least they knew they were sisters! All I know is that in the original NARA indexes, Zofia really is listed as “Zofia Sleszynska” – for that is how I found these ladies in the first place! The old adage is true…computers are only as good as what goes into them. The moral of the story is…if you can’t find someone in an online index, it doesn’t mean they are not there – it just means they are hard to find! By the way, you can still order passenger arrival list copies from NARA using the form via mail or online. I wonder if you still get the 17″ x 22″ images? 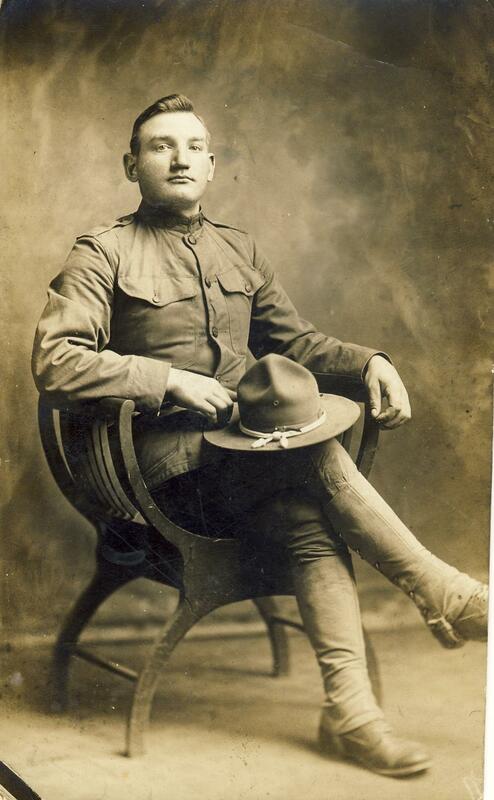 Here are two photographs of World War I veterans. 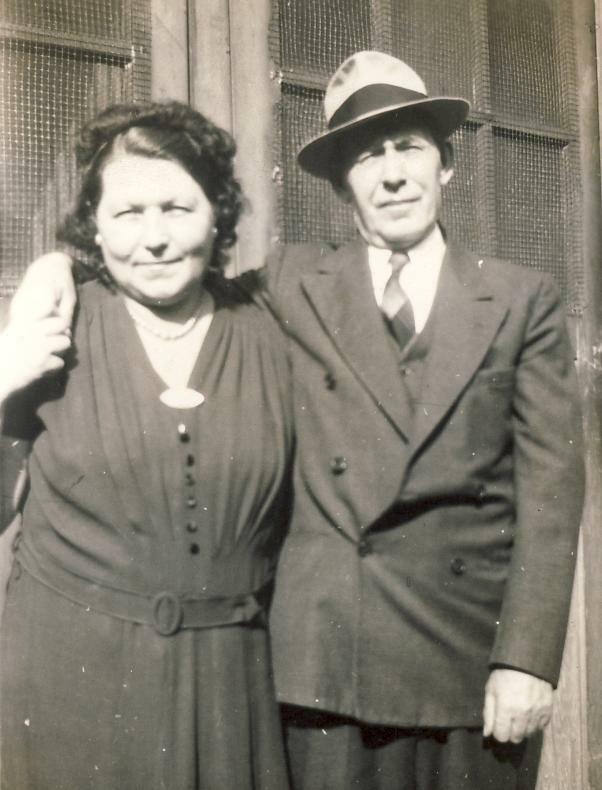 Both gentlemen married my great-grandmother’s sisters (surname: Slesinski). 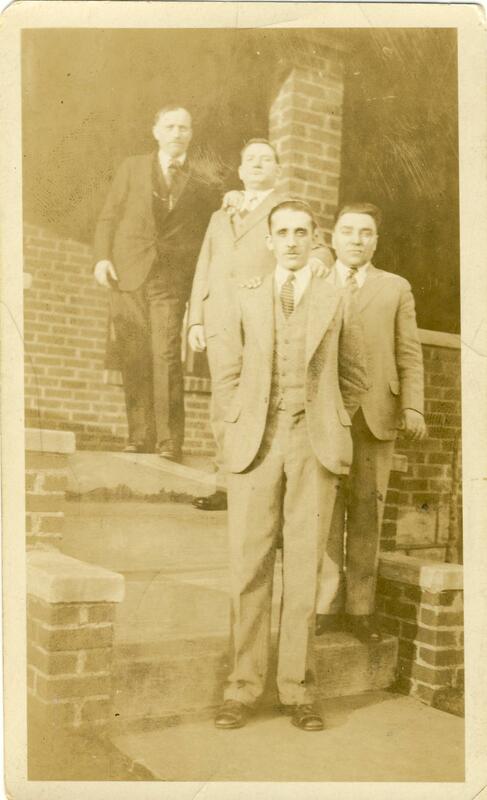 The photos contained no identifying information; however, I have identified these men based on labeled photographs taken around 1930 which were featured in a previous post, The Slesinski Sisters: Part 3 – Research Confirmed. I thank them for their service to this country, as well as all veterans and military members currently serving in harm’s way. Thank you! Countries of Origin – The surnames of SLESINSKI and ŚLESIŃSKI are Polish. According to the World Names Profiler, Poland has the highest frequency per million residents with this name at 11.73 per million. The United States comes in a distant second at 1.48. The results are the same for either spelling. Surname Maps – The following maps illustrate the frequency of the ŚLESIŃSKI and SLESINSKI surnames in Poland. According to http://www.dynastree.com/maps/detail/slesinski.html, there are about 363 people with the surname Slesinski in the United States, with the heaviest concentration in New York state. The Polish surname map shows only 400 people with the surname ŚLESIŃSKI spread out over 78 different counties and cities. The greatest concentration are in Grodzisk Mazowiecki with 40 residents. Distribution of the Ślesiński surname in Poland. SOURCE: Mojkrewni.pl “Mapa nazwisk” database, http://www.moikrewni.pl/mapa/kompletny/%25C5%259Blesi%25C5%2584ski.html, accessed October 23, 2009. For a very different map, I entered the American spelling without the Polish letters – SLESINSKI. Only two people in Poland use that spelling! Distribution of the Slesinski surname in Poland. SOURCE: Mojkrewni.pl “Mapa nazwisk” database, http://www.moikrewni.pl/mapa/kompletny/slesinski.html, accessed October 23, 2009. Famous Individuals with the Surname – I could not find any famous folks, but there is the Kanał Ślesiński, a water channel in Poland that connects the Warta River with Lake Golplana. My Family – This is the surname of my great-grandmother (my mother’s mother’s mother). My Ślesiński family comes from Poland. My earliest ancestor so far with this name is Wojciech Ślesiński, born around 1750 likely in Ślesin, Poland. My line of descent is as follows: Wojciech > Maciej (b.1786, Ślesin) > Józef (b. 1821, Ślesin) > Wincenty (b. 1851, Wilczyn) > daughter Wacława (b. 29 Aug 1880, Wilczyn). Wincenty did have at least one son to carry on the surname, Feliks, who was born on 24 Dec 1885. I am not sure if Feliks survived to adulthood. 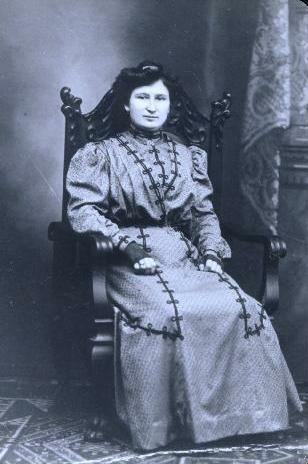 Wacława Ślesińska married Józef Zawodny in 1902 and immigrated to the U.S. (Philadelphia, PA) the same year. 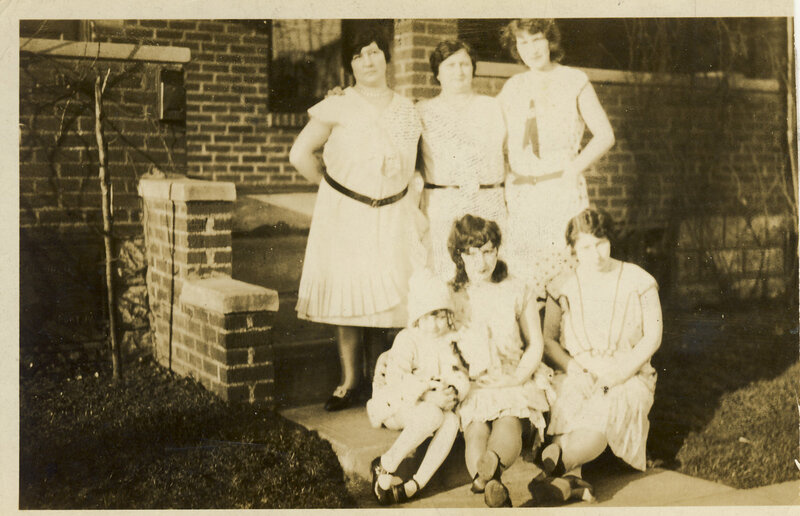 Wacława’s four sisters also immigrated to the U.S. after their father’s death on 01 Jan 1919 and settled in McKeesport, PA.
My Research Challenges – Wincenty Ślesiński died in Dobrosołowo, near Wilczyn, two days after his wife died. His wife, Stanisława Drogowska, was about 58 years old. Wincenty was about 68 years old. If Poland had obituaries during this time period in a town as small as Dobrosołowo, I would like to learn more about the circumstances of their deaths. At this time, World War I was raging and their town, in the Russian Empire until Poland returned to Europe’s map, was extremely close to the German border. It is interesting that my earliest ancestors with this name were recorded as having been from the town of Ślesin. There are still microfilmed records available to allow me to pursue research on this line when I have the time. 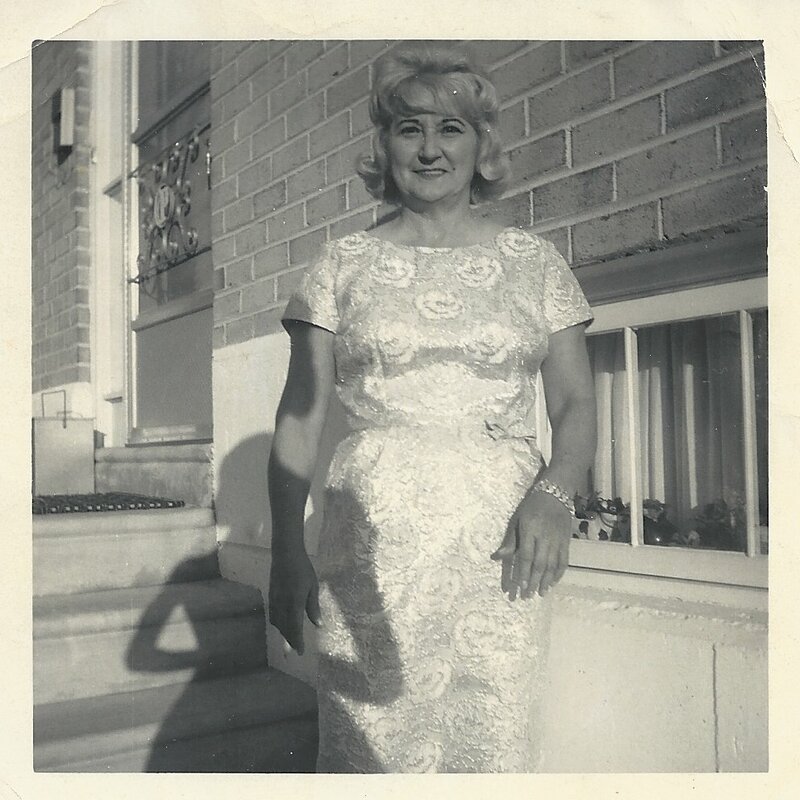 Other Ślesiński Families – One site I would like to highlight is not about genealogical research, but it is about family. Lori Ann Slesinski was 24 years old when she went missing in June, 2006, from Auburn, Alabama. Please take a look at this site and contact the authorities listed if you have any information. Surname Message Boards – None – please leave a comment if you find any. Miscellaneous – The American Soundex code for Slesinski is S425 and the Daitch-Mokotoff Soundex Code is 484645. There are 159 individuals in the U.S. Social Security Death Index with the surname Pater (as far as I know, none are related to me – the Slesinski sisters all married and no longer used their maiden names). Links to other posts about my Slesinski family can be found here. This post is #3 of an ongoing series about surnames. To see all posts in the series, click here. The topic for this edition of the Carnival of Genealogy is The Good Earth, and we are invited to tell about our ancestors’ ties to the land. When I first saw the topic, I doubted I’d have much to say. My immediate ancestors – and myself – are from a very large city, so there are no farmers among us. Even some of my immigrant ancestors came from large cities like Warsaw or Munich, or from industrialized towns like Żyrardów. Even those from smaller towns seemed to have occupations that dealt more with crafts, building, or mercantile goods rather than “the earth”. But, I soon realized that unless you are descended from royalty, you don’t have to go back many generations to find an ancestor who was truly tied to the land in some way. As I looked through my records, I found farmers on all sides of my family. Here is their brief story. In Poland, the cycles and seasons of family life were deeply rooted in the seasons of the earth and the harvest. Because Poland was a Catholic nation, the harvest and all of the work required for it to happen were also deeply connected to the Church. Harvesting almost always began on July 25, the feast of St. Jacob and would begin with the celebration of the Mass and special prayers. Following tradition, the first stalks of grain that were cut were placed in the sign of the cross, and those first stalks were often cut by the farmer’s daughter. The days of a farmer were long – from first light to sundown. The day would end with another prayer. After the harvest was over, the final stalks harvested were also of great importance with one area always left unharvested no matter how small the plot of land. Great celebrations were held after the harvest was over in thanksgiving, often involving the entire community. Most of the harvesters were not land-owners, but peasants who worked for them. It is difficult to tell from vital records if the term “farmer” implies that the man owned land or merely worked on another’s. but many farmers worked as day laborers on other’s lands. Among my Polish ancestors, I have found several farmers or day laborers including my 3rd great-grandfather Józef Ślesiński (c.1821 – 30 Nov 1866), my 2nd great-grandfather Wawrzyniec Zawodny (c.1853 – 13 Dec 1917), and my 4th great-grandfather Karol Zakrzewski (c.1800 – c.1858). The Bavarian countryside near Pfaffenhofen an der Ilm, Bavaria, Germany. Photo taken by the author, 1998. 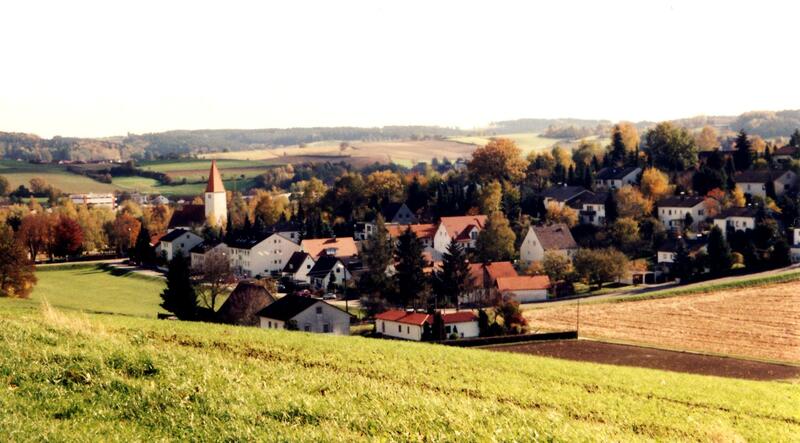 The agricultural life in Bavaria, Germany, was very similar to Poland in both the religious connection as well as the fact that there were different classes of farmers. Even after the Protestant Reformation swept through Germany, Bavaria remained devoutly Catholic. The religious customs related to the harvest are remarkably similar to Poland’s customs and included prayers and festivals. The harvest was a community event even in large towns where the majority of residents were not involved in agricultural labor. After all, the farmer’s successful harvest meant that the shoemaker could buy food at the market to feed his family. Even today Germans take special pride in their farmers. The photo below is not from Bavaria, but the Tirol section of Austria. Both regions have similar traditions and celebrate the harvest with parades and traditional costumes. Even the cows in Tirol (and Bavaria) take farming seriously! 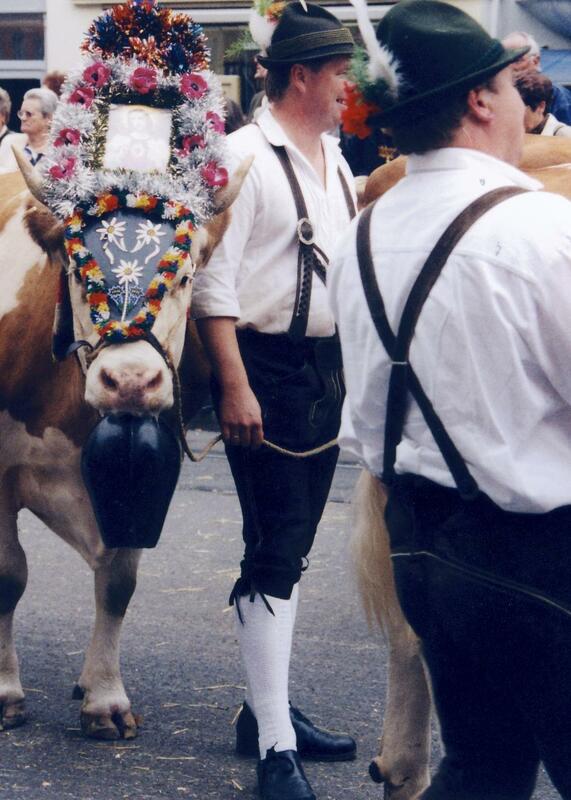 This is a farmer's parade in Innsbruck, Austria. Photo taken by the author, 1998. Bavaria had more class distinctions for farmers than in Poland where you were either a land-owner or you worked for someone else. In Bavaria, the different designations were mainly for tax purposes. A bauer owned a whole farm, a halbbauer owned half, and a viertelbauer owned a quarter. Then there was the söldner, who owned either 1/8, 1/16, or 1/32 of a farm. That may sound small, but there is even a lower designation – a poor häusler owned a house, but not the land on which it sat. I first came across these farmer names when I discovered my 4th great-grandfather, Wolfgang Fischer (1775 – 1820) from the small town of Agelsberg. In the birth record for his son Franz Xaver, who was born in 1813, Wolfgang’s occupation was listed as söldner. It was an unfamiliar term, and according to my German dictionary it meant mercenary. Mercenary? As in a soldier of fortune, perhaps hired out to neighboring countries? I quickly discovered the Bavarian meaning of the word in addition to its other definition. A sölde is a small house with a garden, and as I indicated above a söldner owned either 1/8, 1/16, or 1/32 of a farm. My mercenary was a poor farmer! Wolfgang is the only farmer I have found in my Bavarian ancestry so far, but there is another family that made a living off of the “good earth” – the Bergmeister family of millers. As owners of a mill in the town of Puch, the family would have had a higher economic and social standing than the poor famer; however, his entire operation was dependent upon the success of the farmers’ harvest. The earliest record of the family’s ownership of the mill is around 1700. Ownership was passed to the oldest son for many generations. I lost track of who owned the mill in the mid-1800’s because I am descended from that generation’s second son, but the second and third sons continued in related businesses – one was a flour merchant, the other a baker. Farming is back-breaking work – work that is often taken for granted today. In my ancestors’ times it was likely even harder work without the assistance of machinery and motorized tools. The closest I come to such labor of the earth is mowing my lawn – and though I do use machinery to assist me, I still complain about the manual labor. 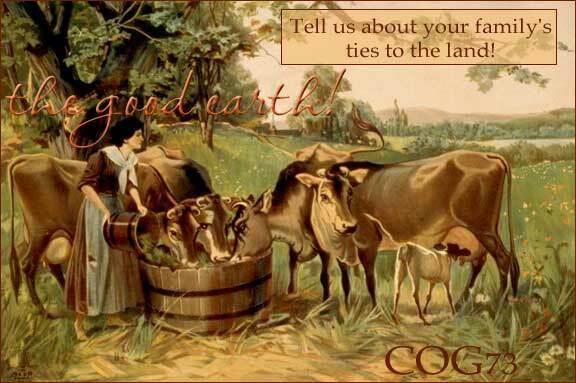 Next time, I’ll try to remember all of my farmer and miller ancestors who worked long days tilling the earth and growing food for their lords, families, and neighbors. Sophie Hodorowicz Knab, Polish Customs, Traditions, & Folklore, (New York, Hippocrene Books, 1993), 145-157. John Pinkerton, A General Collection of the Best and Most Interesting Voyages and Travels in All Parts of the World, (London, 1809), 30-33. Google Book Search. Retrieved on May 27, 2009. 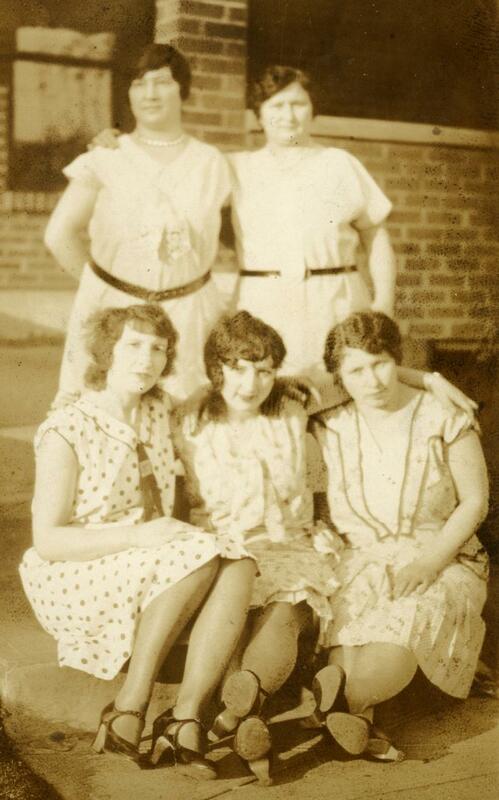 Last month, I shared photos of my great-grandmother’s sisters. I have several more unidentified photos; I know they are of the sisters, but which one? The three photos below are perfect for the latest edition of the Smile for the Camera Carnival, for they certainly offer the distinctive style of dress of the 1920s. 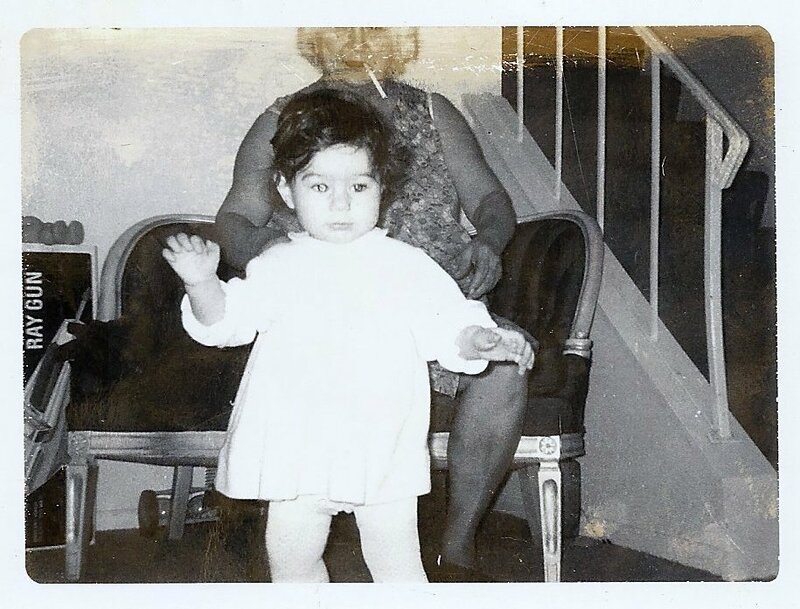 These all appear to be photos of the same sister…is it Jane or Mary? 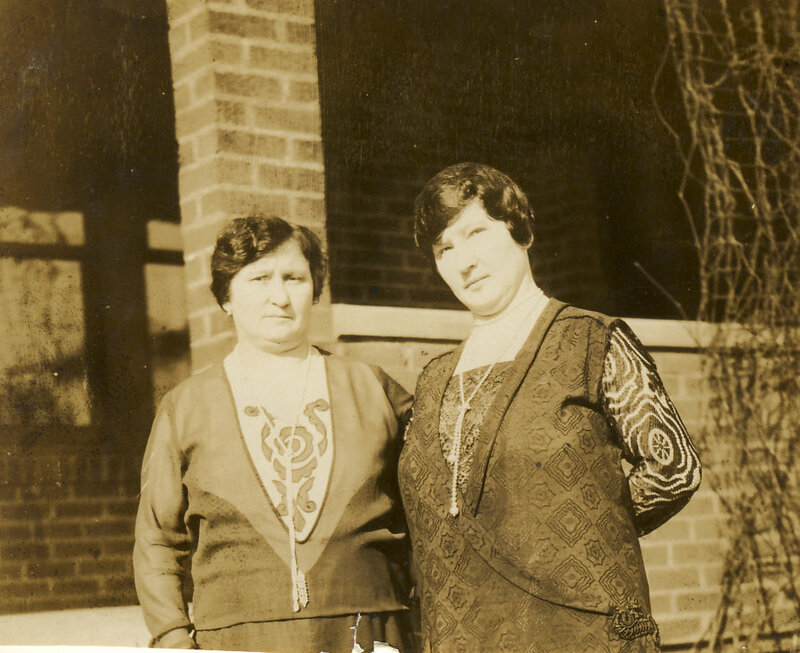 See my previous posts on the Slesinski sisters for other photos (Part 1, Part 2, and Part 3). If you enjoy identifying persons in photos, let me know which sister you think it is in the comments! 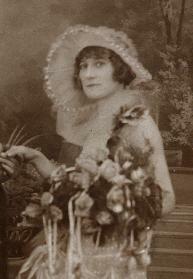 She was certainly into fashion and “costume” – the 1920s version of a “Project Runway” or Glamour fan! 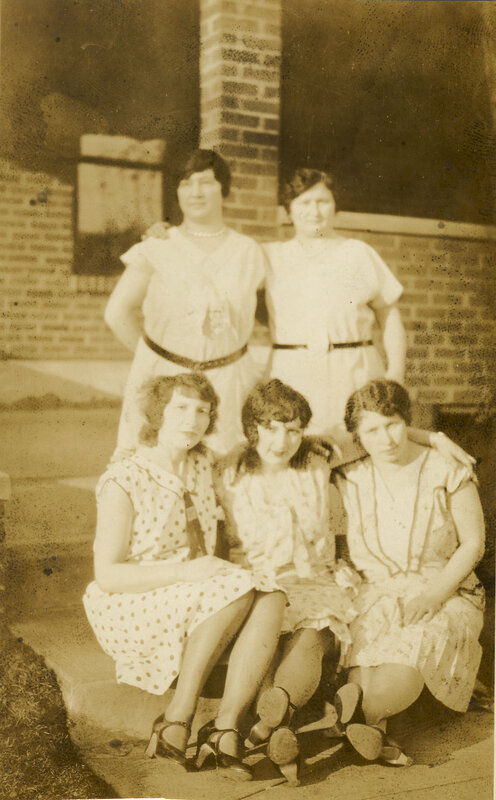 In Part 1 of “The Slesinski Sisters” I presented some photographs passed on to me by my grandmother that showed her mother and aunts: Laura, Josephine, Mary, Jane, and Sophie Slesinski, from “somewhere” in Poland. The remaining photograph that I inherited from my grandmother is shown below. All I had to begin my research were their (maiden) names – would I be able to find anything with such little information? I had already researched my great-grandmother; her Polish name was Wacława, but in America she used Laura. She came to the U.S. in 1903 following her husband, Józef Zawodny, who arrived a year earlier. While the couple was easy to find in passenger list records, the key to Wacława’s birthplace would later come through researching her sisters. I could not locate any of the Slesinski sisters in the census records, so I had to assume that they were married either at the time of arrival into the U.S. or at least at the time of their first census. If they were married before they arrived here, I had no idea how to find their married names. So I began with the assumption that they were single when they arrived – or at least some of them! With luck, I found 3 of the 4 sisters on the same passenger arrival record: the SS Adriatic sailing from Southampton to New York, arriving on 15 October 1920. On the record, their surname was spelled Sleszynska and the first names fit with the information I had from the photographs. Sailing together were Janina, age 19, Zofia, age 17, and Marianna, age 23. They were all listed as dressmakers from Dobrosołowo. Their destination was to their “brother-in-law Mr. Sioracki” at 600 Hazel Street in McKeesport, PA.
Research Tip: Be flexible with first names. This can apply to either foreign translations like Zofia=Sophie, “adopted” names that are not translations like Wacława=Laura, or “like” variations of a name like Maria=Marianna=Mary. Also, don’t discount similar spellings of the last name. “Sleszynska” was similar enough to “Slesinska” to warrant a look at the record. If the first names and ages offer a good match (and in this case, the destination), it may be the correct record. This information meant that their sister Josephine was already married and living in McKeesport by 1920 – now I had a name to search on the 1920 census. I wouldn’t find anything under “Sioracki” though, nor under the Soundex search, so the name was not spelled correctly. However, I did find her using the address instead: Vincent and Josephine “Shieraski” at 600 Hazel Street. Vincent is 33 and immigrated in 1904, while Josephine is 29 and immigrated in 1911. One sister’s married name down, three to go! Research Tip: Can’t find a name in an index or soundex? It may be spelled or indexed wrong. An alternate is to look up by address, which can be found in a variety of sources including city directories, marriage licenses, passenger lists, or personal records like photographs or family papers. Because the three younger sisters arrived too late for the 1920 census enumeration and were not listed on the 1930, it was easy to assume that all three were married sometime during the 1920’s. 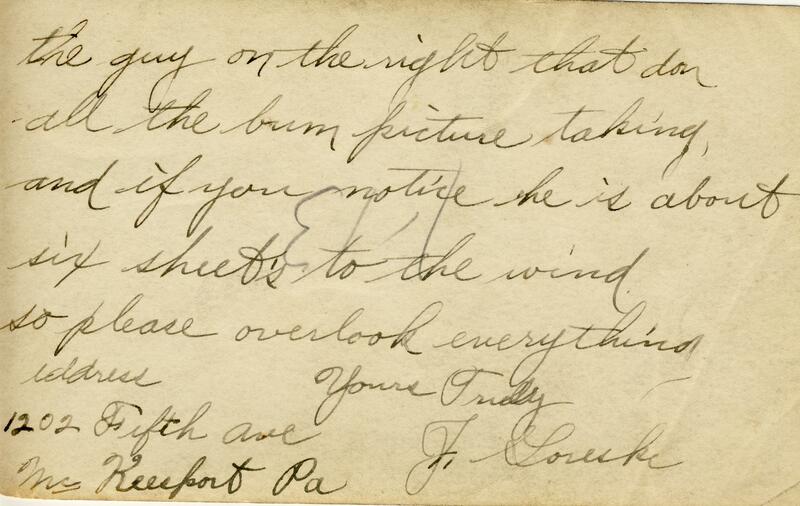 The next step in the research was a search of Allegheny county marriage records through the mail. Amazingly, all three marriage licenses were found! Research Tip: Some Polish surnames have masculine and feminine endings. A daughter or a wife of a man with a name ending in -ski would use a -ska ending to the name. However, this is not set in stone – especially once the couple or the woman immigrated to the U.S. For purposes of searching records, search for both variations of the name. 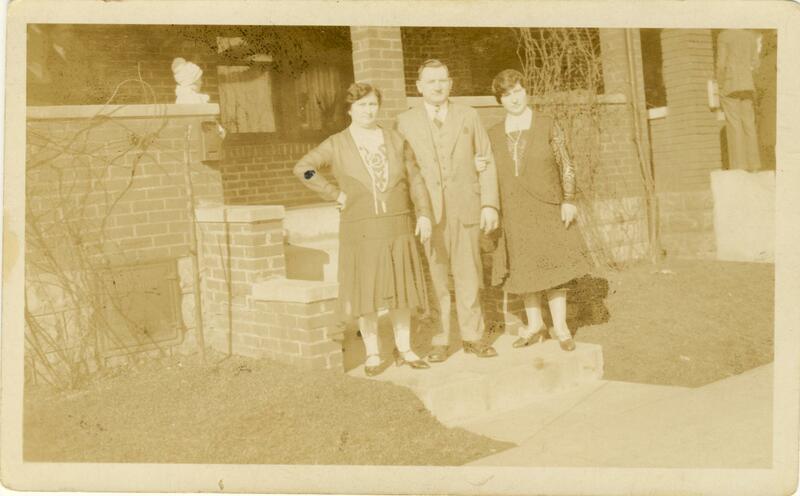 Armed with the sisters’ married names, I searched the 1930 census in McKeesport. 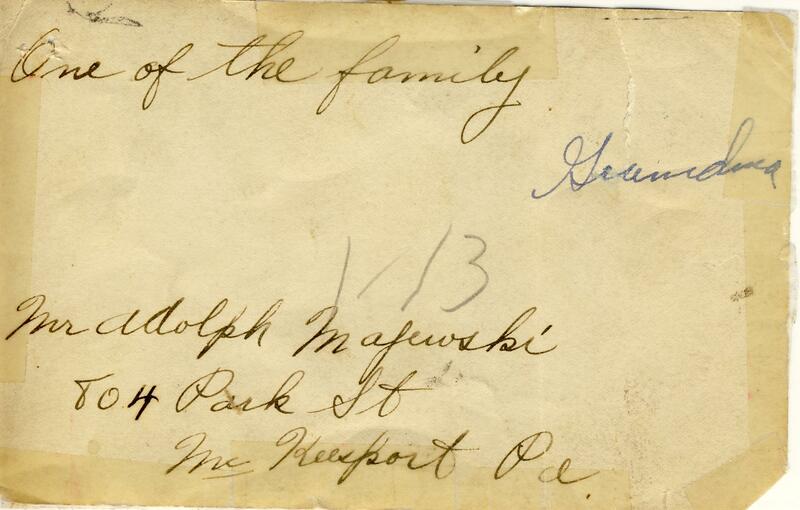 The Majewski family lived at 804 Park Way: Adolph, age 38, Mary, age 28, and son Bolesław, age 6 (born in PA). 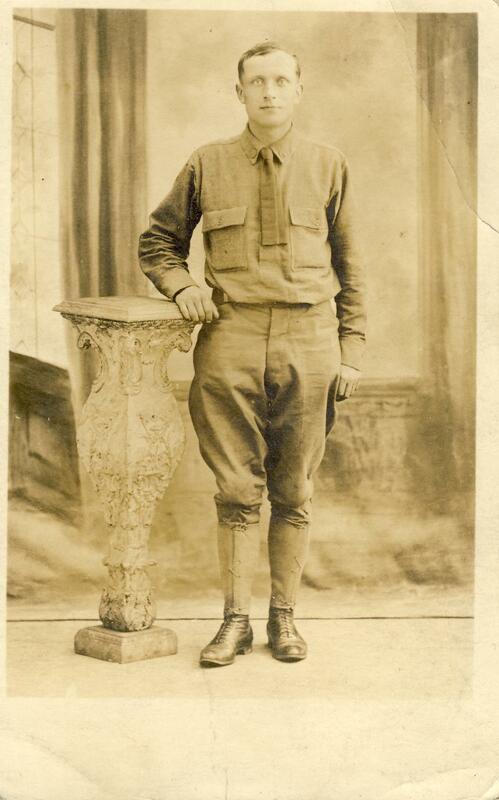 Adolph works in a steel mill and is a WWI veteran. This solved the mystery of who “Mr. Adolph Majewski” was on the photograph (see Part 1). Because of his marriage to Maria/Mary, it also confirmed that the labeling on the photograph of the sisters was likely correct since Mary matches the woman standing with Adolph as “one of the family”. Two of the sisters lived at 1202 5th Avenue. 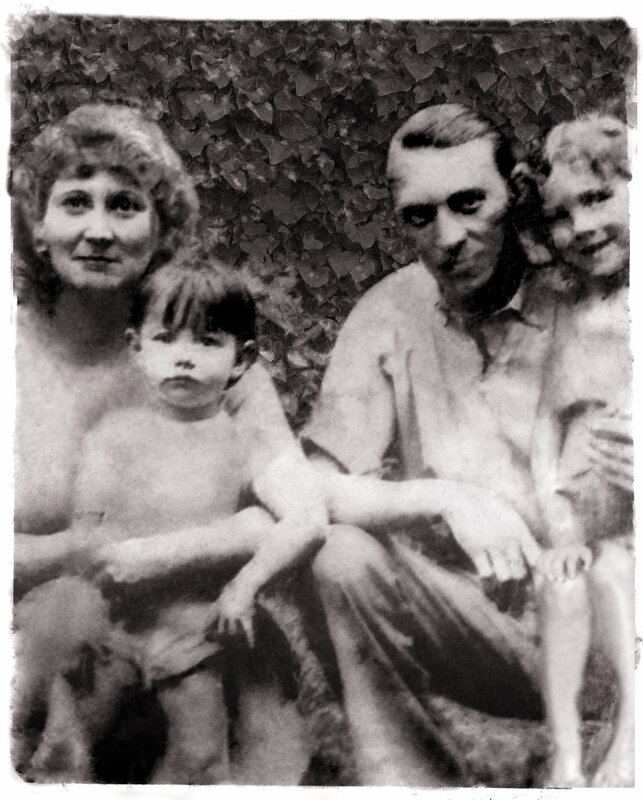 The first family was Joseph Goreski (age 30), wife Sophia (age 21), and daughter Irene (age 5, born in PA). Joseph also works at a steel mill. Although listed on a different sheet, the “Sieradzki” family lived at the same address: Wincenty (age 41) and Josephine (age 38). Wincenty (Vincent) worked as a die caster. Finally, at 2817 Garbett Street were John Smilovicz (age 39), wife Jane (age 27), and son Henry (age 3 and 11/12, born in PA). John works in a tin mill and was also a WWI veteran. 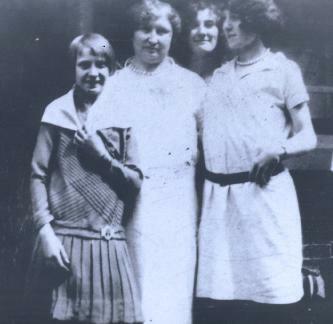 By researching just a few record sources I managed to find all four sisters’ marriages and a few children born by 1930. After one sister’s social security application pointed back to Dobrosołowo, Poland – matching the passenger arrival record – I decided to find the births records of my great-grandmother and her sisters. 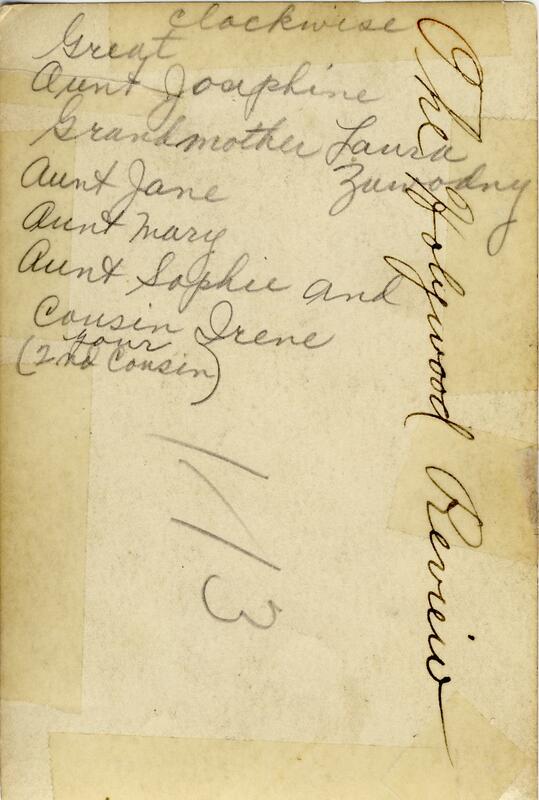 The three sisters’ marriage records in the U.S. provided some clues as to their parents names. One did not list the parents at all, but the other two agreed on their father’s name – Vincent Slesinksi. Their mother’s name was listed on one as Stella and the other as Stanislawa, but the surname matched: Drogowski (Stella was often used as an English variant for Stanislawa). This was more information than anything I was able to uncover about my great-grandmother through her own records in the U.S. The birth records proved what the photographs showed: there was a large gap in the ages between the oldest and youngest sister – 21 years! In fact, Zofia (Sophie) was only two years old when Wacława (Laura) left for America! The sisters also seemed to shave a few years off of their ages for the census-takers, but that was common and is the main reason why census records are not completely reliable for ages. It is uncertain what became of their brother Feliks – no death record was found in Poland, but no definitive immigration record was found in the U.S. either. Research Tip: EVIDENCE…which record do you believe? For a birth year, birth or christening records obviously hold more weight than a person’s marriage record (they may have been underage, considered “too old” to be getting married for the first time, or older than their spouse), census record (they may be trying to stay young, or embarrassed if they are older than a spouse), or a death record (the person giving the information may not know the truth). I assumed this was “the end” of my research into the Slesinski sisters. 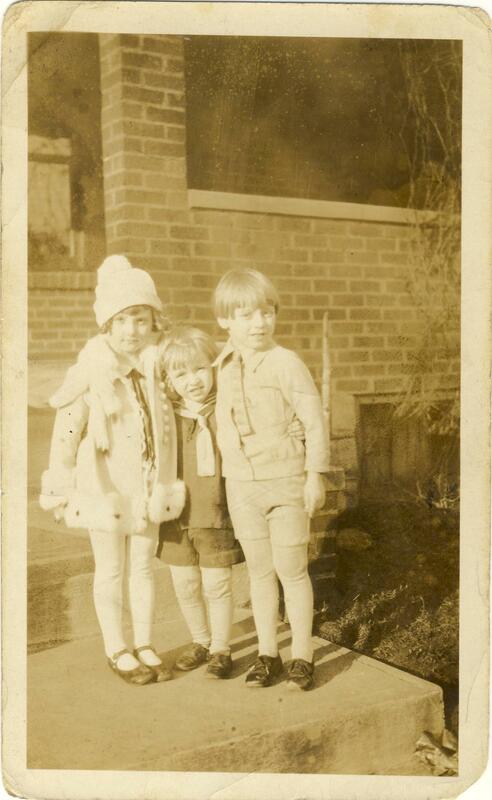 While I had not done any research on the three children identified on the 1930 census – my grandmother’s first cousins – I had gone back to Poland and learned the names of not only their parents, but also their grandparents! I was well on the way to continuing my research backwards into the Slesinski ancestry. But a funny thing happened on the way…my research was “confirmed” in an unusual way. Coming up in Part 3 – My research is confirmed! By more photographs! Ever since my first transatlantic trip in 1985, I’ve been stricken with the travel bug. There is no cure. Symptoms include a desire to wander to far-away places, hopeless daydreaming, and a joy brought on by traipsing on planes and trains. I did not think my condition was genetic as no one else in my immediate family seems to have this disease. But then I realized that about a hundred years ago, my ancestors had the ultimate travel experience. It was no Grand Tour though… It certainly wasn’t a vacation to travel thousands of miles across the Atlantic Ocean to begin a brand new life. In most cases, they never returned to their homeland again or saw the family that stayed behind. While the immigrant experience in itself is quite inspiring no matter who made the journey, I am especially fascinated by my female ancestors and relatives that made this trip-of-a-lifetime. In every instance they either traveled alone or with small children to meet their husbands or other family members who were already in the United States. I can only imagine what this experience was like. First, the hard decision was made to pack up, leave their homes behind, and travel to a foreign land – not just temporarily, but most likely forever. I stressed over moving ten miles away from my childhood home! What were the conditions like in Germany or Poland/Russia that inspired these women to leave? Was the economy bad? Little or no chance of employment? What did they hear about America that made it seem better? How long did it take to afford the move across the pond? The next difficult part of the journey was the separation that couples endured. If you were married, usually the husband made the journey first. Presumably it was necessary for the man to find housing and employment, and then save money to send for the rest of the family’s trip. When it came time for the women to travel, the first part of the journey involved getting to the port. In my family, several ports were used including Hamburg and Bremen in Germany, Southampton and Liverpool in England, and Antwerp in Belgium. I don’t have any first-hand accounts of their lives or of their journeys to America, but I know that travel back then was not as quick and easy as it is today (TSA rules and flight delays notwithstanding, travel really is “easy” today by comparison). So it’s my guess that even this land-based part of the trip may have been complicated. Fortunately, the railways in Europe were probably as good as they are today. But, life was different. No one had cell phones to keep in touch up to the minute. There were no baby carriages, so toddlers walked and babies were carried. My guess is that the majority of immigrants came with one suitcase at most – travelers today probably take more for an overnight trip then our ancestors carried for the trip of their lives. The time at sea wasn’t exactly a cruise ship experience! The vast majority of immigrants, including every one of my ancestors, came over in third class steerage on steamships. If the weather was good, folks could go up on deck to pass the time. The journey, at least during the years that my ancestors traveled, took about two weeks. After arriving through Ellis Island, not everyone was reunited with their families immediately. Today we complain about security or passport lines and slow baggage retrieval. Back then, the immigrants stood in line for processing. During the peak years that my ancestors came to the US, a busy port like New York at Ellis Island processed up to 5,000 immigrants a day! In addition to the processing time, occasionally immigrants were detained. If someone looked ill, they were kept for further examination. In some cases, the unlucky person or family was deported. Can you imagine finally arriving and you still can’t see your family? Or worse still, being told you can not enter the country? 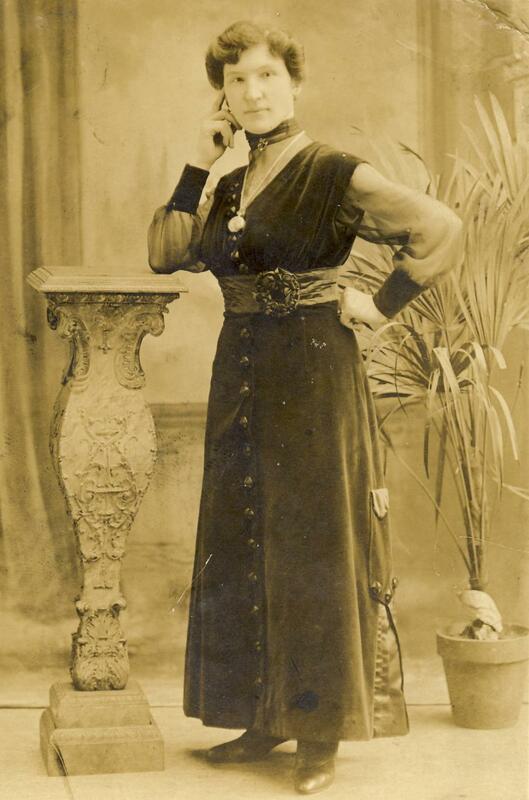 Hilaire, my great-great-aunt, is my “premiere” female traveler both in terms of being the first as well as the gutsiest! She traveled to the US on the SS Friesland alone at the age of 23. She had no family here. That alone makes her journey truly impressive to me. I’ll write more about Hilaire and her life later this week for the next Carnival of Genealogy. 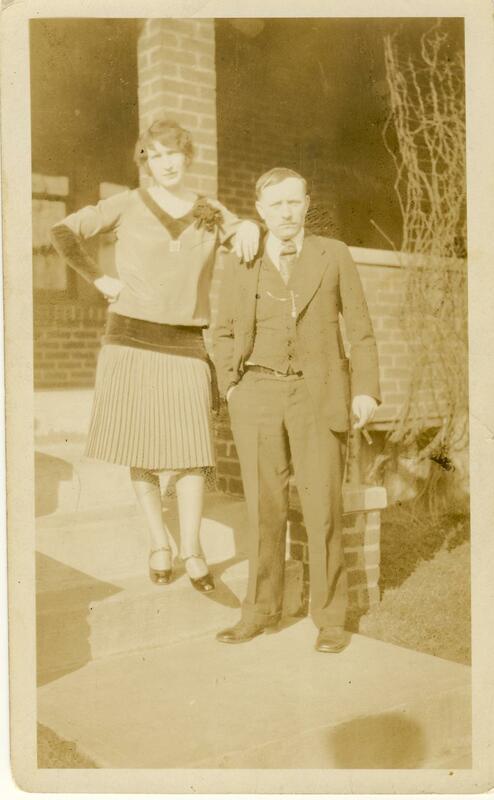 My great-grandmother Marie is Hillaire’s sister-in-law, but they probably had never met until both were here in the US. Marie traveled from 13-27 June on the SS Kensington via Antwerp, which is 460 miles from her home in Pfaffenhofen an der Ilm, Germany. Marie was 26 when she made the journey with her 3-year-old daughter, Marie. They had not seen their husband and father, Joseph, for just over one year. 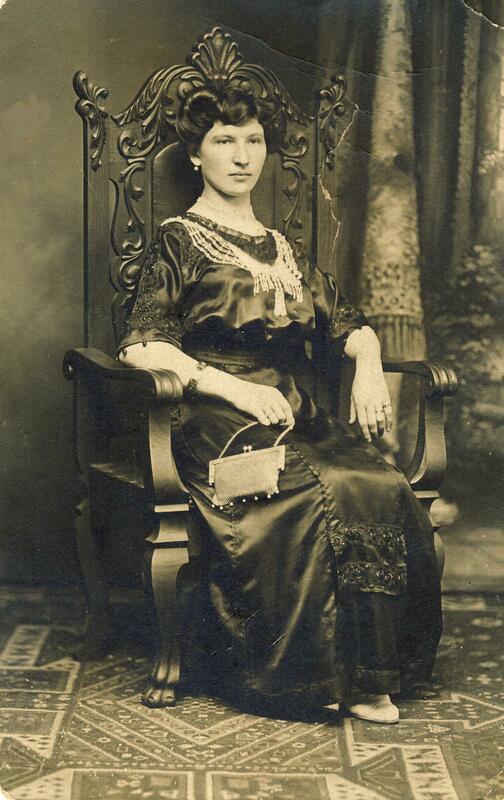 My great-grandmother Wacława is my only ancestor to travel through the port of Philadelphia instead of Ellis Island. She sailed from Liverpool on the SS Westernland for two weeks in July. Just getting from Dobrosołowo, Poland to Liverpool was an amazing 1,100-mile trip! She was only 18 years old and traveled to meet her husband, Jozef Zawodny. He had been in the US for over a year, but the young couple had only just married weeks before he left Poland. One can imagine how anxious she was to see her new husband after such a long separation. Wacława would never see her parents again – parents who were quite unhappy with her marriage and apparently refused to communicate with her even by mail. She was the oldest daughter, and she would not see her four younger sisters for many years. In fact, when she left Poland, her youngest sister was only 2 years old! 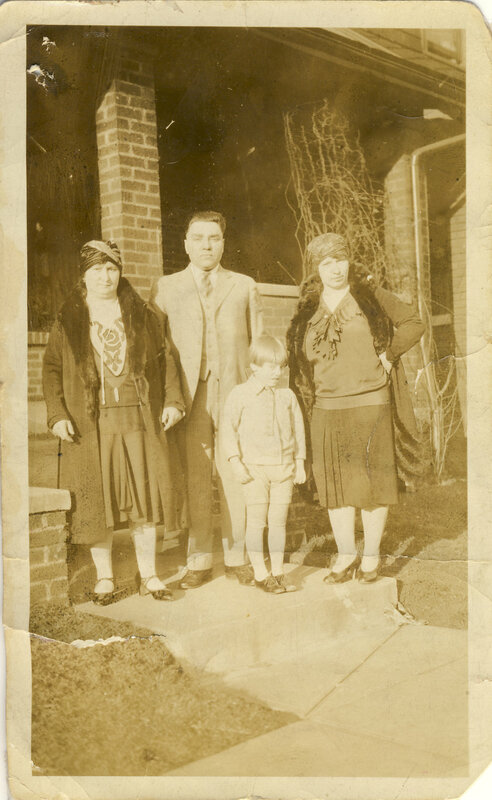 Great-grandmother Rosalia gets extra credit in the “gutsy” category for traveling with her 3-year-old son, Jozef, and her 1-year-old daughter, Janina, on the SS Armenia from Hamburg to New York, arriving on 10 November. She wasn’t a young mother either at age 41, and she hadn’t seen her husband Jan for over six months. I have no photos of Rosalia, but her passenger list record describes her as 5’3″ with brown hair and blue eyes. I try to picture her juggling Janina and a suitcase while trying to hold on to her toddler at the same time! If that weren’t brave enough, the journey from Warsaw, Poland to Hamburg, Germany was about 540 miles! The Pater family arrived in the US in stages. My 2nd great-grandmother Antonina, age 42, and two of her daughters, 18-year-old Regina and 2-year-old Victoria, arrived second, which was nearly 18 months after their husband and father Jozef settled here. She would have to wait nearly a year to see another daughter and three young sons, and it would be nearly three years before she would see her mother again. 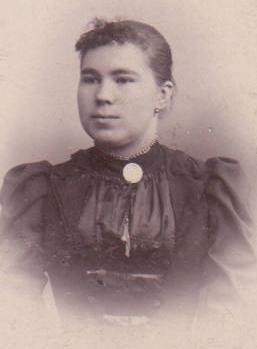 Antonina and her daughters traveled on the SS Blücher from Hamburg, about 520 miles from her home in Żyrardów. I have no photos of her or these daughters, but the passenger list offers descriptions. Antonina was 5’2 3/8″, she had a sallow complexion, brown hair, blue eyes, and a wrinkled forehead (as any mother separated from her children would have!). Regina was 5’3 1/2″, fair, with blond hair, gray eyes, and a round face, and little Victoria had her big sister’s coloring. 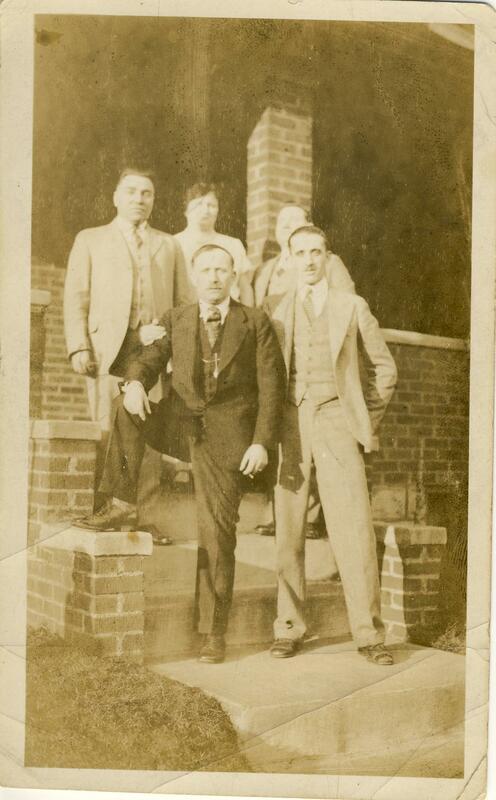 My great-great-aunt Franciszka (Frances) and her husband Pawel (Paul) were responsible for bringing my great-grandfather and his brothers to the US since their parents were already here. They traveled on the SS Grosser Kurfurst in August. Franciszka was only 20 herself, and she brought 17-year-old Wacław, 14-year-old Ludwik, and 12-year-old Stefan with her since they would not be allowed entry alone. Because Wacław suffered from some sort of illness (short left leg and a deformed chest according to the passenger list), the entire group was detained for two days for further examination, which must have been quite stressful to all. 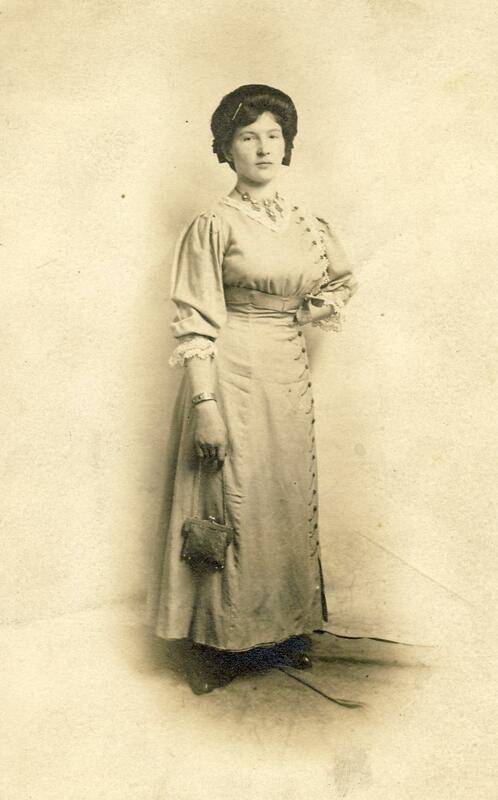 My great-grandmother, known in her native language as Elżbieta Müller, was 18 when she made the long journey from Żyrardów, Poland, to New York on the SS President Grant. Not yet married, she traveled alone and met her brother, Emil. My only photo of her much older, but I’ve heard she was quite attractive in her youth. The list describes her as 4’11” with a fair complexion, light brown hair, and gray eyes. She would marry a slightly younger man, Ludwik (Louis) Pater, a little more than a year later. Both were from Zyrardow, but he came to the US almost two years before her trip. How I wish I had a photo of Franciszka! She is my 3rd great-grandmother, and the oldest ancestor to have made the journey to America at age 69. And she traveled alone! She is the mother of Antonina Pater, and she joins her daughter’s family after a 2-day wait in detention for a medical exam. They determined she was an “LPC” or Likely Public Charge, probably because of her age and/or health. The list describes her as 4’10”, limping, with dark hair, blue eyes, and a dark complexion. What an amazing journey for a woman her age! She lived with her daughter’s family until her death in April 1914. As mentioned above, Wacława Zawodna (nee Slesinska) had four sisters that came to the US. I haven’t yet located the arrival of Jozefa, but Marianna, Janina, and Zofia all arrived together on the SS Adriatic from Southampton in October 1920. The sisters were 24, 22, and 19 years old, and their parents had died the year before – within two days of each other on 30 December 1918 and 01 January 1919. They are coming to join their sister Jozefa and her husband in McKeesport, PA. Although they pass by big sister Wacława, who had been here for 17 years by then, the five later reconnected since I have photos of the group together. So there you have it…some courageous travels of some amazing women. I remember the first thrill of traveling alone, the fear at being in a place where no one spoke my language, and the joyful excitement of setting off on a journey to a new place. The trip that these women made wasn’t for vacation, but was it thrilling, fearful, and joyous all at the same time? I’d like to think so, and I’d like to thank them for their inspiring courage to make that trip and begin a new life here in America. 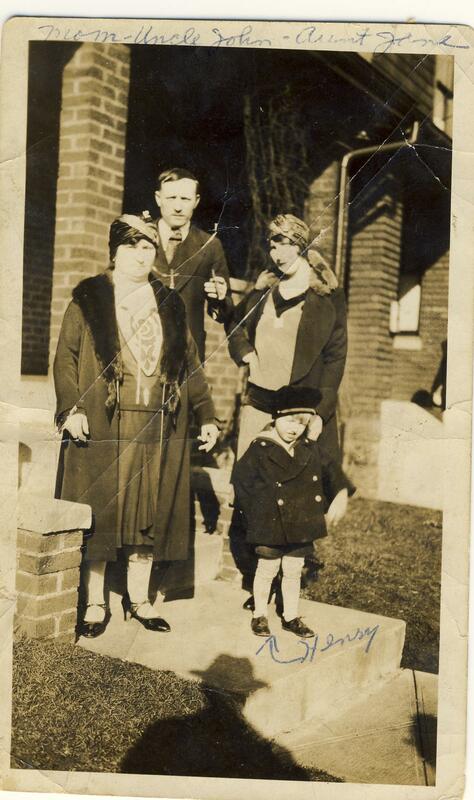 The Hirtz Family – a record of one family’s journey. While they traveled in a cabin, not steerage, the story of their apprehension is probably common. Ellis Island Photographs – from the New York Public Library’s site – great photos, including some amazing portraits of unnamed immigrants! Name days, which are the church’s feast day of the saint that bears one’s name, have long been considered important in many Catholic cultures. Even today in Poland, a person’s name day, called imieniny, is celebrated in lieu of or in addition to a birthday. But in the past, the name day and the birthday were the same day, because Catholic Polish tradition held that you actually named the child after the saint who held the feast on the day the child was born or baptized! Sometimes the saint’s name was used if the feast was within a few days of the child’s birth and not the same day. My family isn’t one for tradition, but I was quite surprised when I noticed this naming trend with some of my Polish families. Józef PATER ( 1864-1945 ) and Antonina PLUTA ( 1863-1938 ) had seven children. I don’t have birth dates for the two oldest, but the others proved the “name day” theory. Since the family obviously took this tradition to heart, I probably could easily find the birth records for the two oldest girls without much effort – I’d simply check the dates near the feast days of Sts. Regina and Franciszka. What’s interesting to note is that all of the family members were born in Poland, and the tradition did not continue with their own children as far as I can tell. 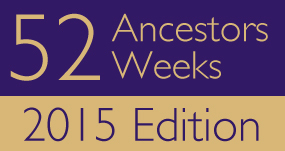 Of the children, I only have detailed descendant information on my great-grandfather, Ludwik. Despite the fact that his wife, Elżbieta MILLER (1891-1972) has a birthday on St. Elżbieta’s feast in the same way that he owes his name to his birthday, they did not carry this tradition on with their own five children. I was curious if this was simply a quirk of this one family or not, so I checked a different side of my family tree, the ZAWODNY family. Interestingly, I found the same thing with few exceptions. Józef ZAWODNY (1880-1944) birthday was on St. Józef’s feast. His wife, Wacława ŚLESINSKI (1885-1956), does not share the feast of her patron saint, but four of her seven siblings do. Of the couple’s own six children, all born in the US from 1904 through 1916, four out of six match. I may not have the most up-to-date version of the Church’s liturgical calendar as it existed during that time period either. From what I can tell, these children didn’t follow the Polish tradition with their offspring either. Does this hold true for every Catholic Polish family? No, of course not. But, if you see it with one or more children, then chances are it isn’t just “chance” and it can provide a clue as to other birth dates in the family. For a listing of names and a chronological listing of feasts, see the Poland Gen Web’s list of common Polish first names. Also, if you really want to know everything there is to know about Polish first names, I highly recommend First Names of the Polish Commonwealth: Origins & Meanings by William “Fred” Hoffman and George W. Helon. Why did Poles follow this tradition? Was it an expression of their Catholic faith, or just a cultural tradition? I can’t answer that for my own family, but I’d like to think it was a little of both. But just imagine if that tradition were revived in the US today! Consider the possibilities – wouldn’t this save expecting parents from one more thing to worry about? There’s no use arguing over baby names, whether or not to use a name from his side or her side, the name of a deceased relative, or the latest celebrity fad-name. Just wait until the child arrives, look at a church calendar, and there you go – the decision is made for you! There is some risk, of course. Just two days separate your chances of being either Adam or Zenon. Or Zofia and Wacława. But I think it’s a charming glimpse into our ancestors’ lives. Today, feast days and name days are still celebrated of course. My nephew’s name day is December 6th, the feast of St. Nicholas, even though his birthday is in June. But if we lived one hundred years ago in Poland (or had Polish parents here in the US), his name would be Paul!